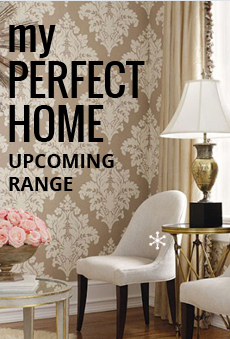 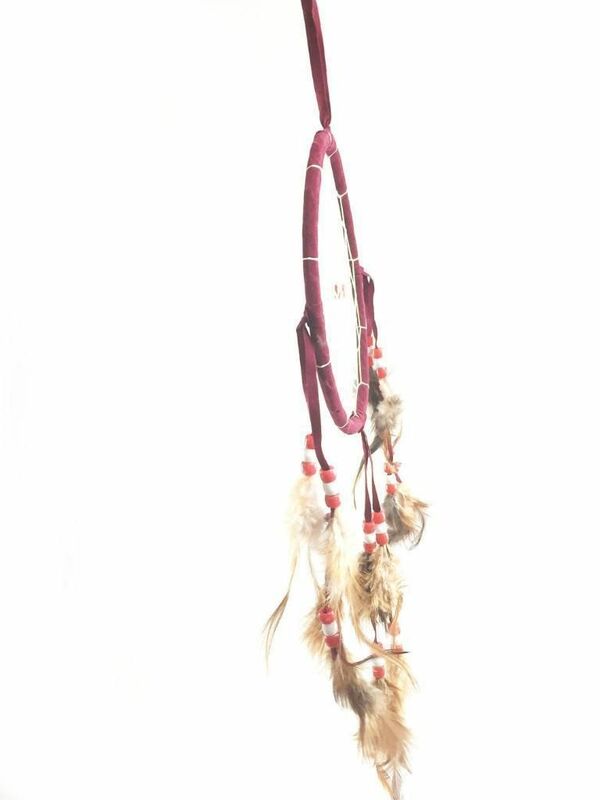 Available in 4 colours - Red, Blue, Brown and White. 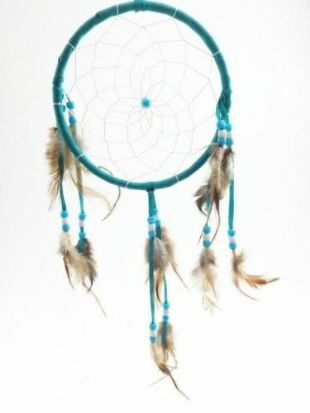 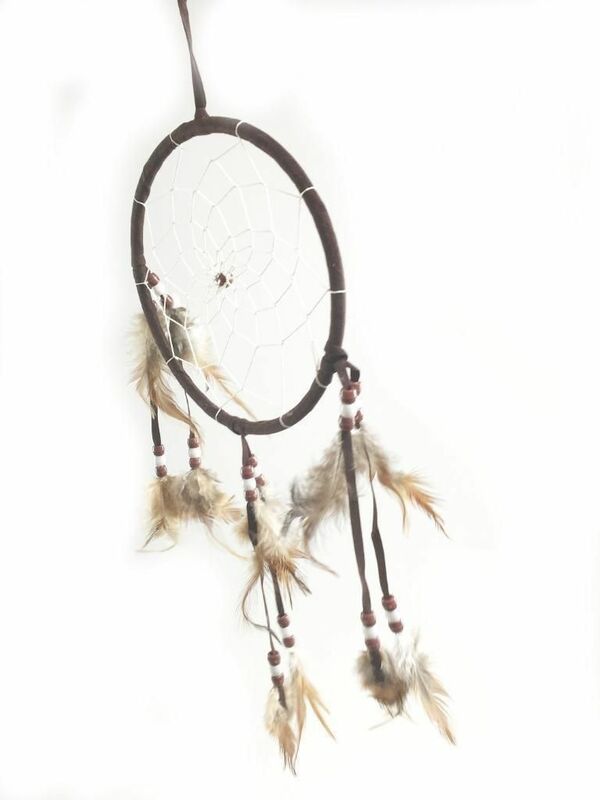 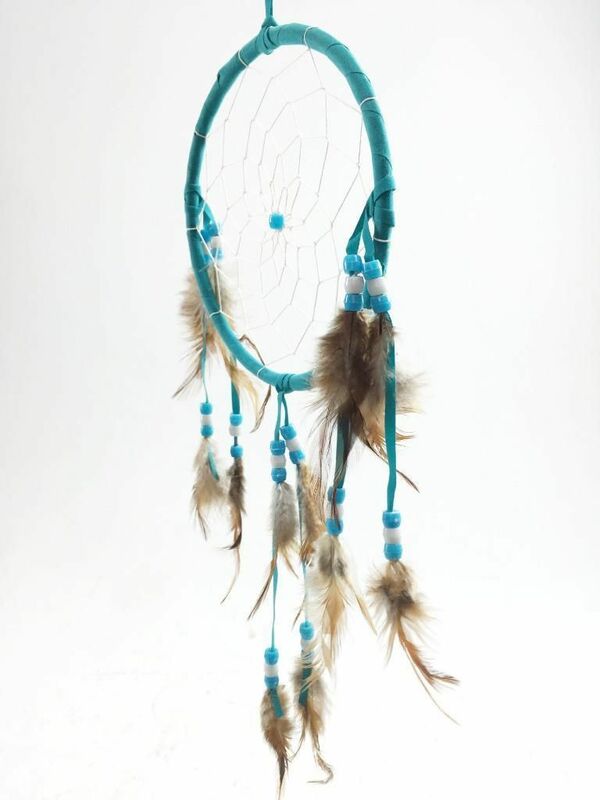 Catch all those bad dreams with this wonderful lightweight dreamcatcher. 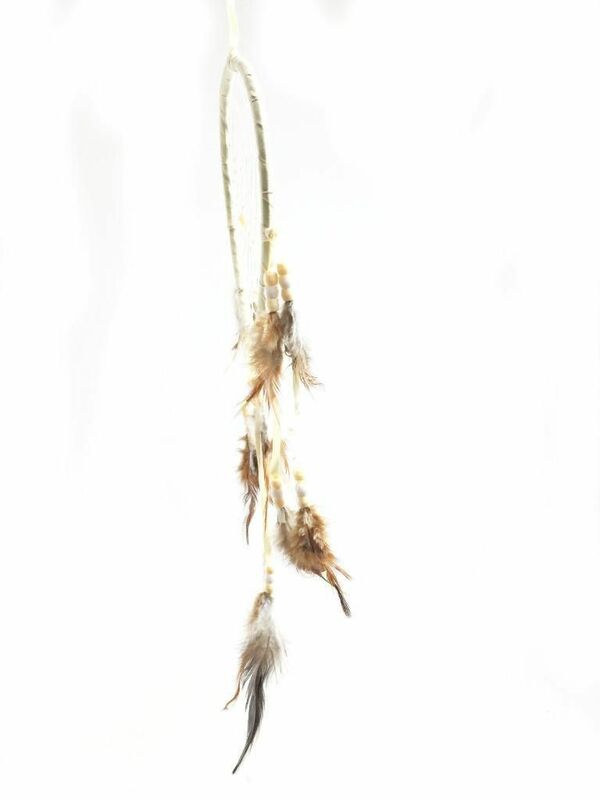 Beads help to weight the feathers down so that they do not blow around.